It almost seems that every move by Marc Bergevin sets the Montreal Canadiens back 10 years. Big trades have been executed by the fifth-year General Manager, one being historically bad, leaving his team to be the equivalent of the Kansas City Chiefs: good in the regular season but cannot get it done in the playoffs. And when it appeared they were going to be on the brink, it got worse. At this point, the direction of the team, as a result of decisions by Marc Bergevin, should have the Molson family (majority owners) focusing on the next guy as improvement. How long has it been in the media about the Canadiens’ brass needing “size” and “toughness?” This mindset has led to the acquisitions of Andrew Shaw, Shea Weber, and Karl Alzner, where there is some talent but have done little to improve the team’s position. Adding a Stanley Cup winner and top defender is not a bad thing, necessarily, though it came at too step a price. Shaw was traded for, with Bergevin releasing two second-round picks in 2016 to Chicago. They even signed Shaw to a six-year contract. Even though the contract is a little long, this is not the doozy that is the Shea Weber trade. 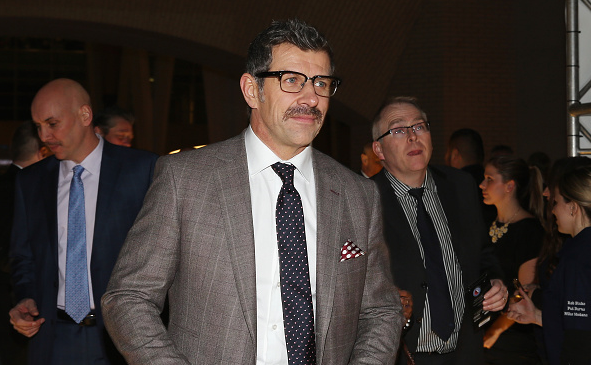 Somehow, the thought came to Marc Bergevin that, ”I can trade P.K. Subban!” Despite the rumors, I wanted to think that there was not a GM that would think this is a good option. Connor McDavid and Sidney Crosby were not involved, so no. How did he miss the marc? Bergevin had to be “that guy.” False “character” narratives got the better of him, removing a player who was a significant factor in Nashville’s Stanley Cup Final Run. Weber is also a very good defenseman but does not have the mobility and age benefit of Subban. One of the worst parts was that Weber also came with about a decade worth of contract remaining at 31. Subban, on an eight-year deal and slightly higher cap hit than Weber, is still better than taking on a contract that holds a player through the time he is 40. Despite controversy, Montreal found immediate results, winning the Atlantic Division. But it was short-lived. The Canadien’s had an early, post-season exit at the hands of the New York Rangers in the first round. Now, in 2018, Marc Bergevin finds his struggling team sixth in the division and with few answers. Jonathan Drouin (19 points), whose price was 19-year old defenseman, Mikhail Sergachev (Tampa Bay-26 points), and Max Pacioretty (23 points), have mightily struggled. The ill-advised Karl Alzner signing is what it is: bad. Yet, Bergevin thought paying $10.8 million a year for a goaltender was what the team needed for the future. If only I had the buzzer from Wheel of Fortune. Carey Price is a top-tier goaltender who has not seen a single game in a Stanley Cup Final. So why invest so heavily? My non-insider answer for this quandary is fear. Fear that he would leave for a team that has a chance to win a championship. Otherwise, why spend superstar cash on a player whose impact on offense is next to none? (Unless you think scoring the occasional goal on the empty net can change a game). Every goaltender has a .920 save percentage so why not save it for the right time? Then again, why expect a team that does not know how to use Alex Galchenyuk correctly to make, as your mother would say, good choices? Put it on the wall: Marc Bergevin will no longer be the General Manager of the Montreal Canadiens by the end of the regular season. The owners should not ignore contrary evidence to their investment being a contender. I cannot say that “tank” will be the strategy, as the draft lottery is dumb, but re-tooling is much needed. The Canadiens are composed of players that can be pieces but are not foundations to build upon. And no: building around the goaltender is not the right answer either. Regardless, ownership should see that Bergevin has proven that he is not in-tune with the modern NHL with no sign of adapting. Montreal needs to rebuild and refocus. They need to add speed on the back-end as well as an elite offensive player. What they do not need: Marc Bergevin leading the charge.